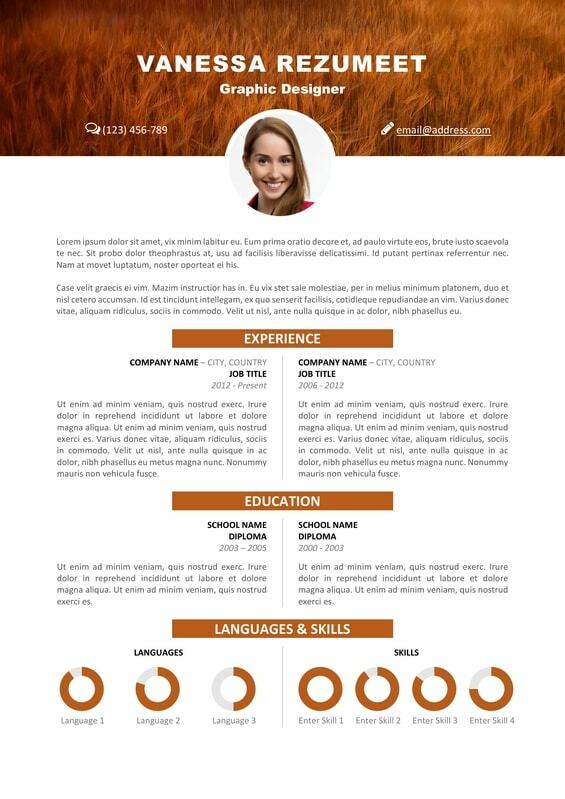 This curriculum vitae layout is designed with a 2-column structure layout. 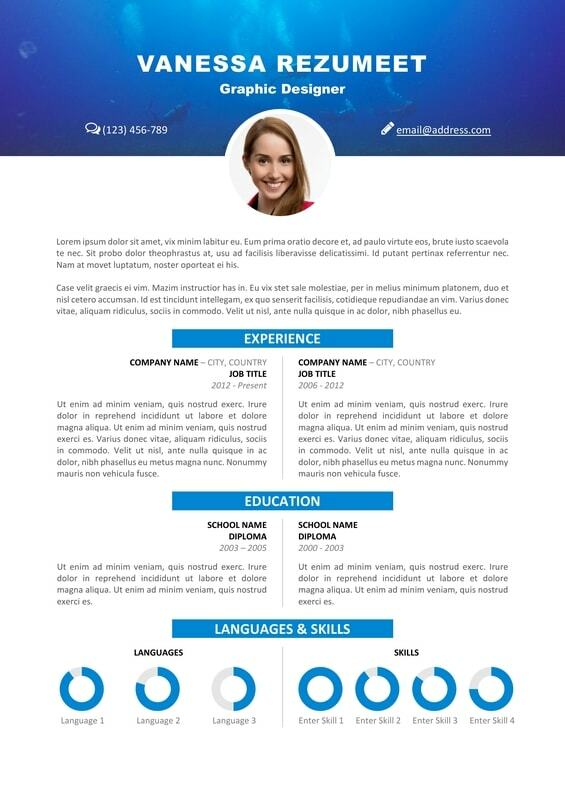 A top banner with a nature-related photo (sea, earth or sky) gives an extraordinary positive mood to this resume. 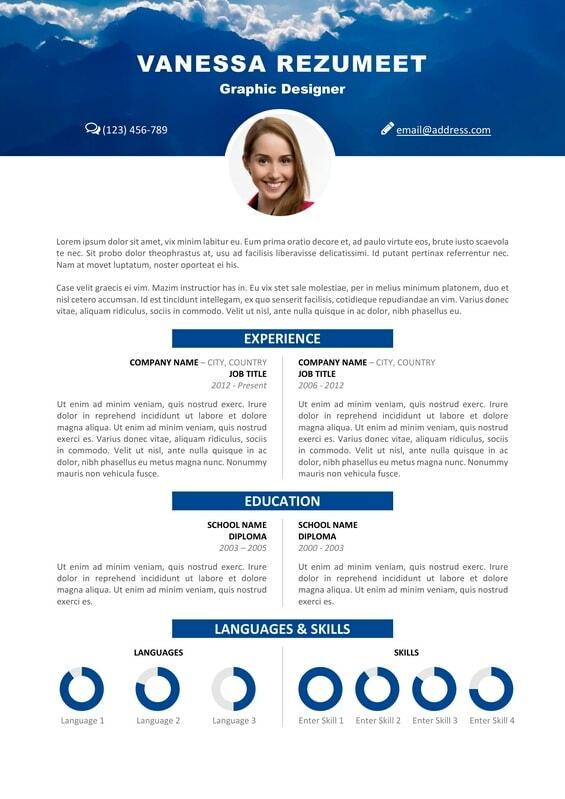 This resume will certainly get you noticed and make a great first impression. It is designed for 1 page or more if needed: the top banner and ID photo will only be displayed on the first page. 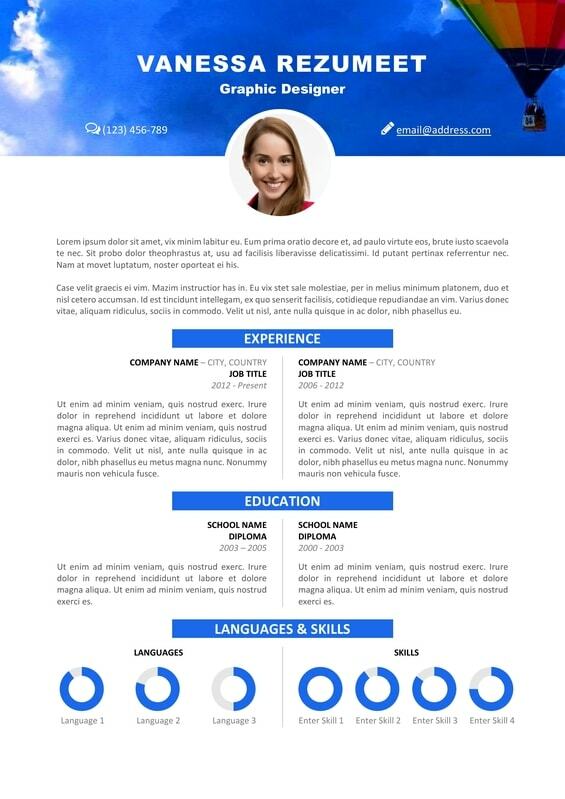 Free resume for Word with 6 variants (color scheme and top banner picture): barley field/green, sky hot balloon/blue, mountains/blue, scuba diving/blue, tropical fishes/blue and wheat field/orange. The ‘Languages’ and ‘Skills’ parts use data-driven pie-charts. 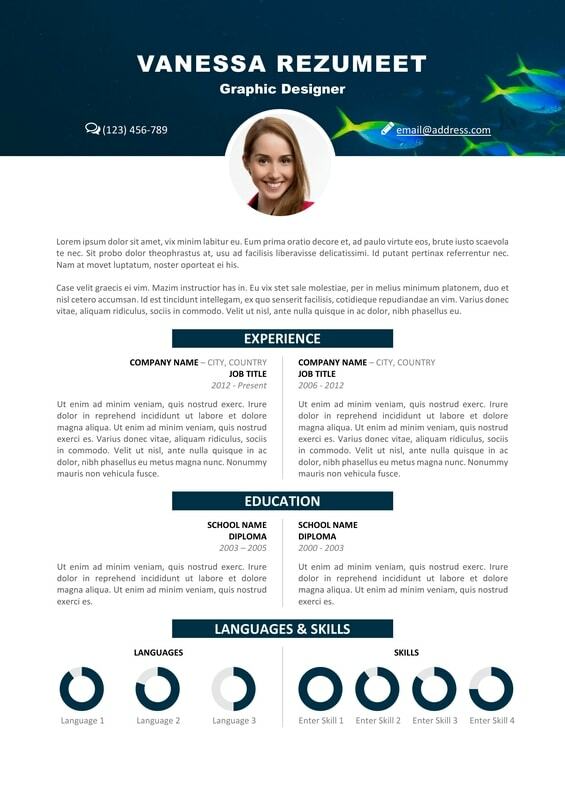 Most of the templates you’ll find online (even the most expensive ones) are simply built with text boxes and shapes. 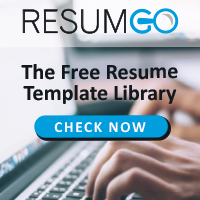 But every resume is different as information length and nature are specific to each of us. And it’s a nightmare to deal with when it comes to using the template with your own content. Tables, on the contrary, allow an easy and hassle-free customization, with no formatting or alignment issue. 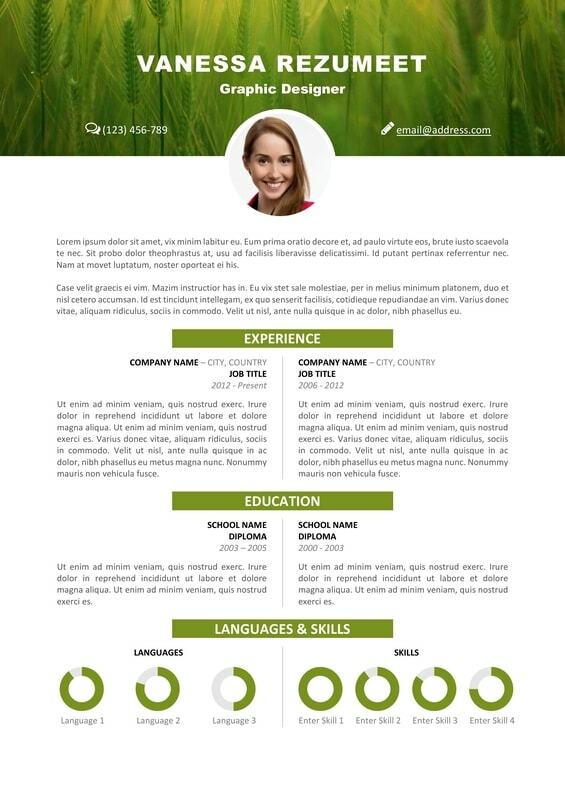 Download ‘Vesterbro – Nature Resume Template’ for free! This is really amazing! Many thanks to team Rezumeet. Hey thx rezumeet! can someone help:) is it possible to change wall picture and how..
Hi alex, edit the header (double-click), select the current picture/photo. Then click Format Picture > Fill > Picture or texture fill > File… > and select your own picture. Cheers!